Whether you’re in town for a weekend or for much longer, there are a wide number of attractions and activities that cater to every taste. So many, in fact, that we’ve compiled a list of the top six experiences that capture the vibrant culture, creativity and beauty of Queensland’s capital. 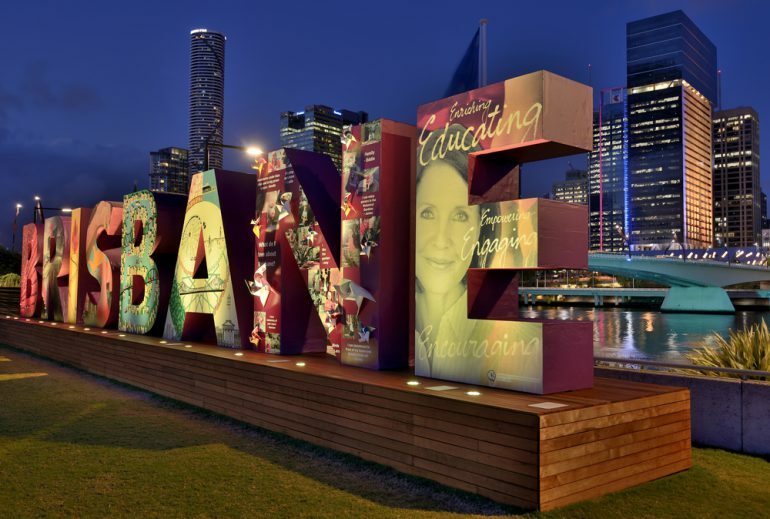 So, when you’re asking yourself, “What to do today in Brisbane?” simply read on – we have the answers! The red City Hopper ferries transport people along the mighty Brisbane River 7 days a week, stopping at a number of popular locations. It takes you to where you want to go, it’s a great way to see the city and river by day or by night and it’s completely free; no wonder it’s considered one of the best things to do in Brisbane! The Gallery of Modern Art offers four levels of boldness, colour and diversity. Entry is free, with hands-on activities for the kids on the basement level. The same building is also home to the Australian Cinémathèque, which shows rare and unusual films not shown elsewhere. If you’re ready to indulge, the city’s Queen Street Mall has everything from international fashion brands to designer boutiques. Be sure to seek out Edward Street for high-end labels, and get to the lively Valley Markets every weekend for local handmade goods and vintage fashion. If you’re wondering where to visit in Brisbane that might give you a different perspective, book yourself into a climb on the city’s iconic Story Bridge. You can climb by day or by night, and we recommend night time for a spectacular view of the city lights. If you’re really feeling daring, why not abseil down the bridge too? Time to soothe your feet from all that walking and exploring? Treat yourselves at one of Brisbane’s many day spas and wellness centres. There are a number of excellent options both north and south of the river, so choose your favourite treatment, sit back and relax. When you’ve had a full day exploring the best places to visit in Brisbane, what better way to end it than relaxing in your own luxurious apartment? Meriton Serviced Apartments offers two locations for central apartments in Brisbane, just minutes from all of the top attractions in town. Choose from Adelaide Street or Herschel Street for stunning views, oversized apartments and every modern convenience.